There are few criminal offenses that have as dire consequences as drug offenses. 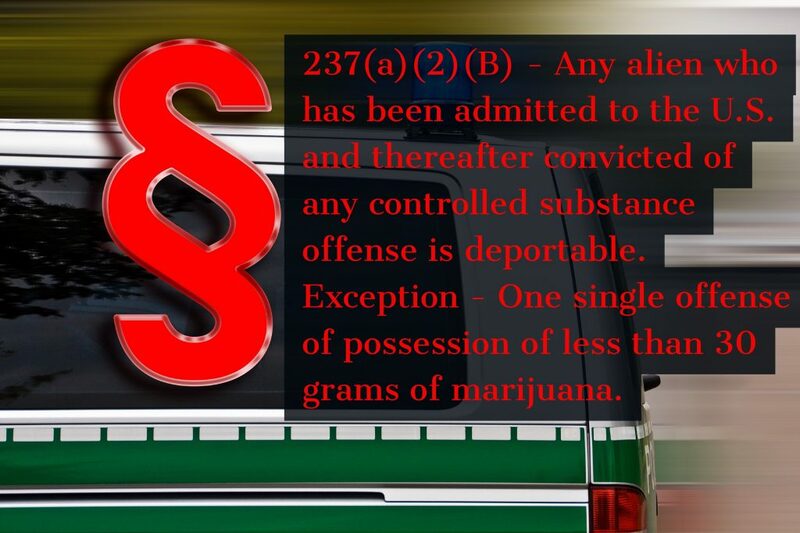 Whether you are a fifty year lawful permanent resident without even a speeding ticket or a nineteen year old lawful permanent resident with your whole life ahead of you, even a minor marijuana offense could lead to deportation and/or other negative immigration consequences. 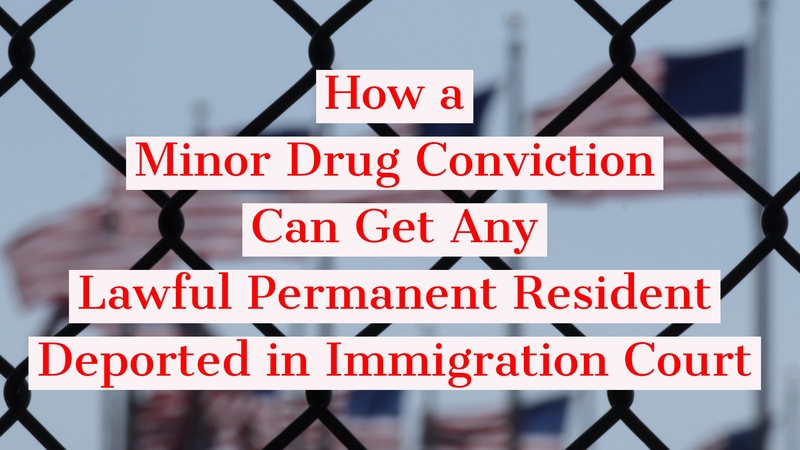 If you, or anyone you know who is not a United States citizen, gets charged with a criminal offense, have them sit down with an experienced immigration attorney (preferably who understands criminal law), before they plead guilty or no contest, to discuss the potentially catastrophic consequences of receiving a drug conviction.